This is a Premium article. Please subscribe to continue reading. You will receive an email requesting you to confirm you wish to subscribe. We will not give or sell your details to third parties. Copyright © 2018 Family Capital. All Rights Reserved. This is a Premium Article from Family Capital. 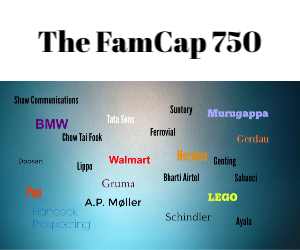 To access all premium content, which includes research reports like Family Capital’s 450 - the 450 biggest family investment groups in the world - please subscribe to Family Capital Premium. Login if you already have an account.